This system is a combination of two mobile scaffold towers and a Triangular Bridge. This system is a combination of two mobile scaffold towers and a Triangular Bridge. With the help of the triangular frame adapters it is possible to hang the bridge between every type of mobile scaffolding provided that the diameter of the scaffolding pipe is 50mm or smaller. The maximum working height with two towers is 22 metres and at this height the towers must be attached to the wall. 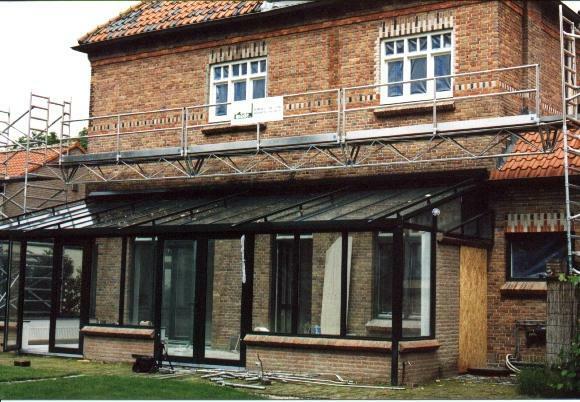 This system is very useful with projects where you need to have a big span, for example renovations and high and low building work. It is also extremely well suited for work in areas with difficult access e.g. above a swimming pool, over a big conservatory or extension. 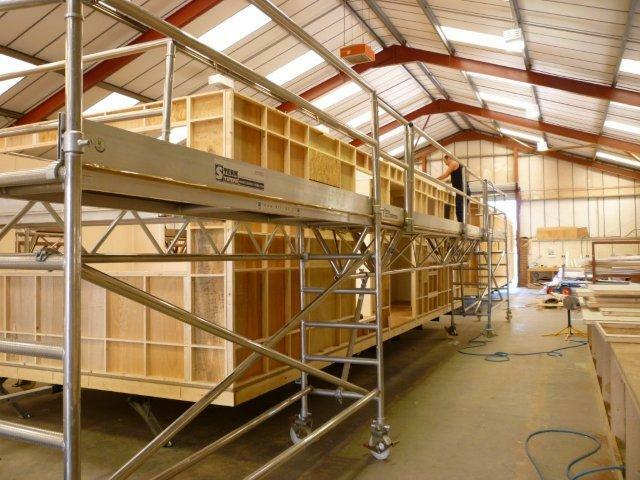 When combined with mobile scaffold towers Sterk Systems’ Triangular Bridge System provides unrivalled access! In addition our System has been awarded the GS Test Certificate in the Specialist Scaffolding category.